Grab your Discounted 10 In 1 Multifunctional Baby Carrier while the store LAUNCH DISCOUNT is on. Once we reach 200 unit sales, we will be increasing the price back up to $109.99. Our multifunctional 10-in-1 baby carrier has been specially designed to adapt as your baby grows, giving you the ability to carry your child in different positions, for different needs, as they develop. 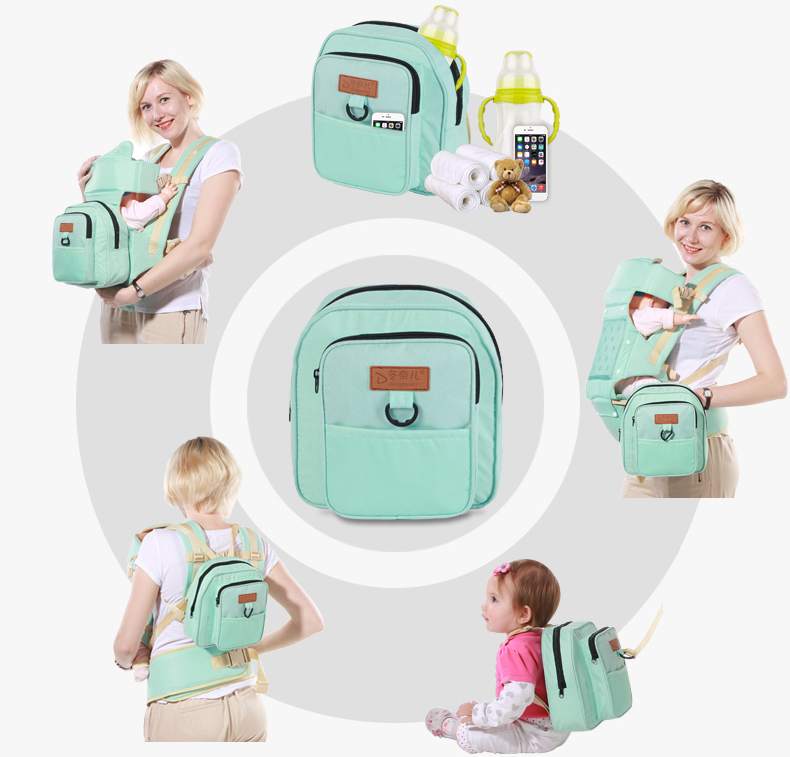 This ergonomic baby carrier is perfect for parent and child, because not only is it safe and durable, but also eases the strain of carrying your little one, by dispersing the weight more equally, just like conventional carriers. 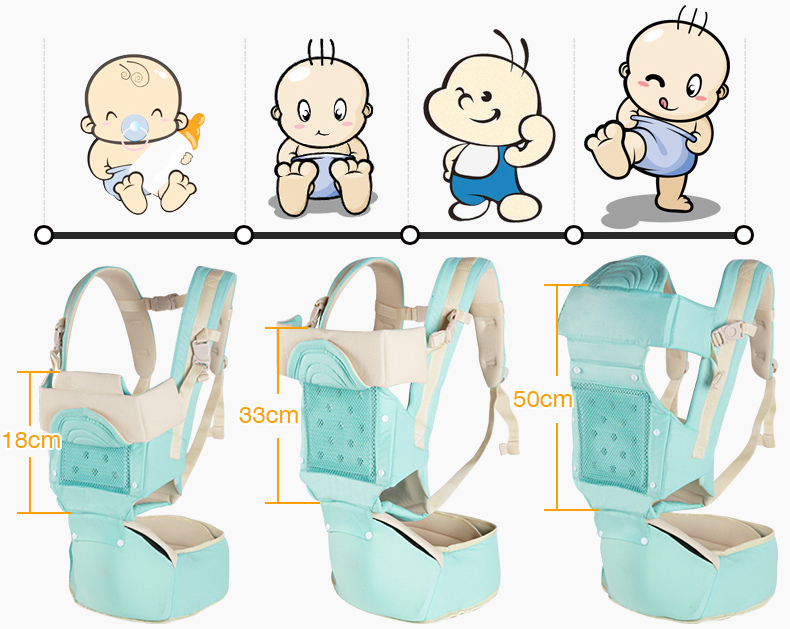 It has also been designed to be adaptable, and to suit the recommended best carrying positions for babies’ between the ages of 0 to 34 months, in favor of their bone and brain development. Some of the positions that this carrier can be adapted to include horizontal, face-to-face or kangaroo, or backpack, and there are 10 different holding and carrying positions in total. 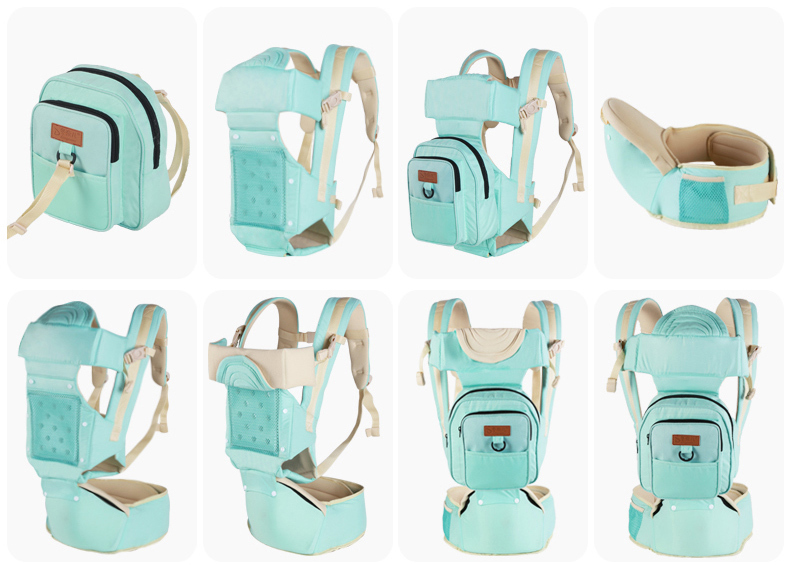 This baby carrier can bear loads up to 44lbs, and has pockets for holding pacifiers or other items and comes in a choice of great colors to choose from. 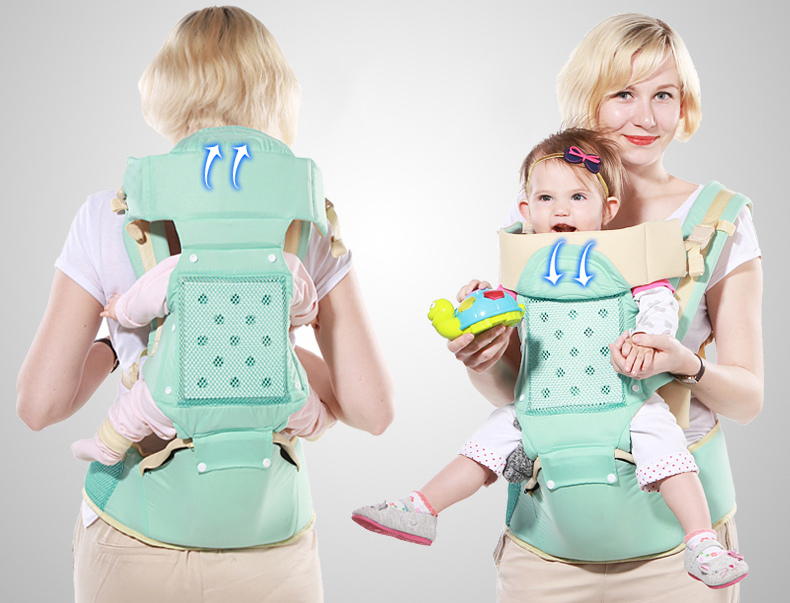 With 10 different position combinations, this is the ultimate baby carrier for any mother. Use it as a hipseat, carrier, or combination of the two. Great for babies anywhere from 0-36 months of age. 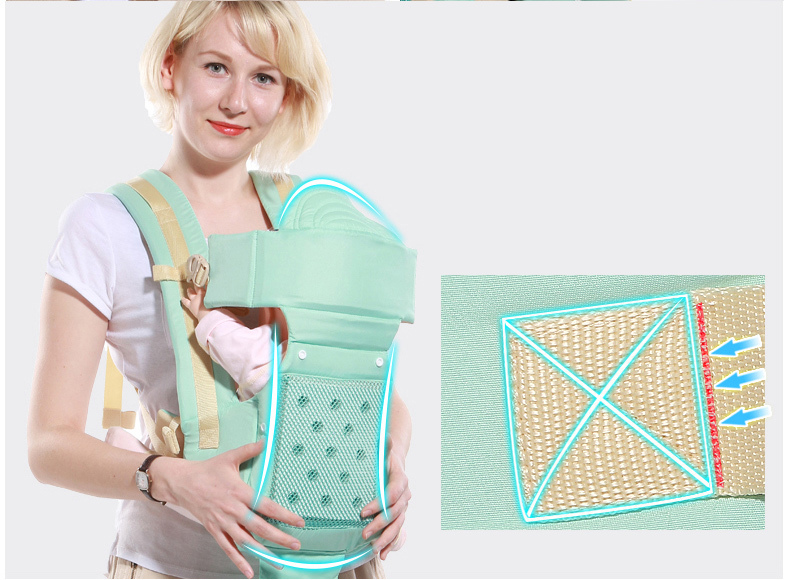 Our 10-in-1 baby carrier is built with both the parent and baby in mind. 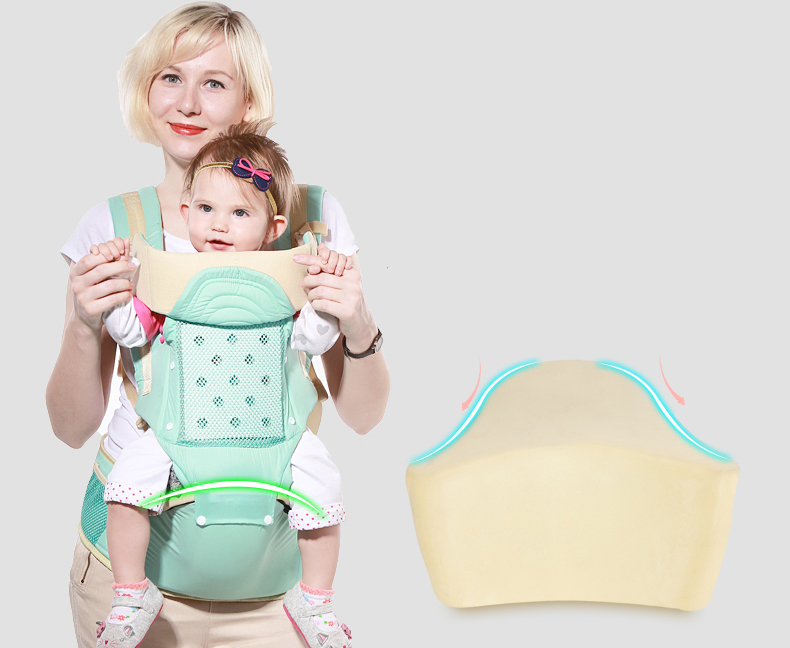 Made with high-quality MPF material, this carrier is soft, comfortable, and adapts to your baby's posture. 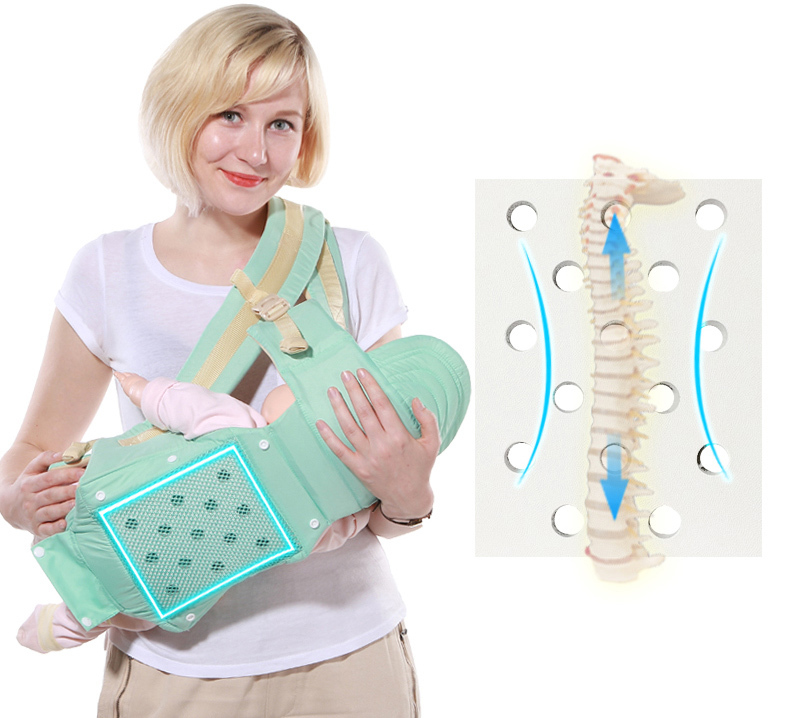 Additionally, our carrier straps are stragetically placed to help reduce neck, back and, shoulder pain for the carrier. Offers comfortable and healthy position not only for your baby but also for you. A baby carrier is used to support an infant or new born baby on the carer’s body. It can be used to carry the baby either on one’s chest or one’s back. It helps in carrying infants easily and allows caregivers to maintain physical contact with the baby, which plays an important role in maintaining healthy cognitive development of the baby. The ergonomics of a baby carrier are very important in order to ensure proper hip and back development. Parents are opting for ergonomically designed baby carriers to ensure safety and comfort of babies. Another factor which plays an important role in the selection of baby carriers by consumers are versatility, safety and reliability, comfort, cost, and ease of use. How do you use it depending on your baby's age? Between 0 and 36 months, baby's bones and brain development is very different. Therefore it is advised by specialists to hold your baby in various positions according to his growth. If for any reason your 10 in 1 Ergonomic Baby Carrier is damaged and unable to perform like you had hoped...we will provide you with a new one without any obligation to you!